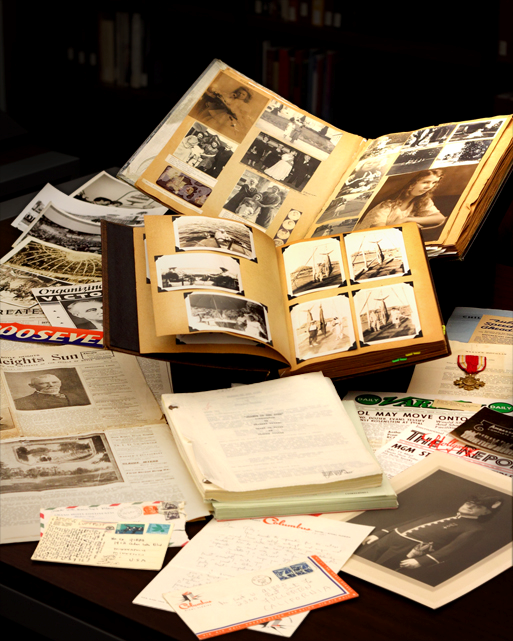 Hi, my name is Allan Crosby, I've really enjoyed reading these stories of Hothfield of yesteryear. I've never lived there but I can remember lads at the North modern school telling me about how great it was and all the things they used to get up to in the evenings and weekends like ponds and rivers to swim and fish in and catapults, airguns and carting. They also said how all the families were so friendly and looked out for each other. I lived in Pluckley by the station and attended Pluckley school until 1955ish then we moved to south Willesborough (Frogs Island) and I went to Newtown school. Looking back now it was almost like a parallel universe Hothfield and Frogs Island as we got up to much the same things as you lads in Hothfield, we had the brick field pond for fishing and the Cutt river for swimming and miles of fields and the old moat to explore and trees to climb. Over the years as I grew up I have met many Hothfield lads and they have all said what a grand place it was to grow up in. I remember playing football against Hothfield many times, they were always tough games up against the likes of Frankie Dilworth and Dave Prior and the talented Bobby Godden and most times we got hammered. Years later Frankie went on to be a very good referee fair but firm, I worked with Bobby for many years on the railway at Ashford pre assembly dept, I believe he lives in Pluckley now, retired of course. Other guys I got to know were Basil Riley who became a wrestling star, Doug Gillard with all the work he done with the Ashford and District football league, I got to know Cyril and Les Horn, Barry and Dave Godden whilst the Market Hotel in Ashford was my local, they were all good lads and loyal friends, last I heard Cyril was living in Herbert road on frogs island. In 1961 I went to the Odeon in Ashford to see the Elvis Presley film Blue Hawaii, there I met a pretty young lass from Hothfield called Annette Allman, we seemed to hit it off straight away, so I used to cycle from south Willesborough to Hothfield to see her or sometimes get the bus, while there we used to bike round the lanes and hang out around the bus shelter or just stroll round the woods chatting or visiting the hatch behind the pub for smith crisps and pop, basically most of the same things Mike Teesdale mentions in one of his memories on the website, anyway after a few visits this delightful snippet of my life fizzled out and we lost contact. I've never forgotten her though, and her name was easy to remember as in the late 60s early 70s one of my favourite bands was the Allman Brothers, so when recently I went on your website and saw her name I just had to write in and say hi. I hope she remembers me and hope that life has been good to her as it has been to me. When I saw the carnival queen picture I realised that I couldn't remember exactly what she looked like as my memory has faded with the mists of time, however the lass on the far right looks familiar. I hope Mike and Annette are very happy as I am with my wife of 40 years June. I still live in Ashford but south Ashford not Frogs Island. It would be lovely to catch up. This page was added by Chris Rogers on 05/02/2017. Hi Alan enjoyed your article. 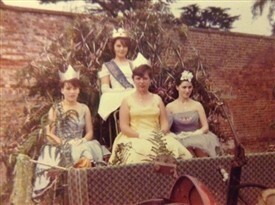 The lass on the right is Diane Sellen who was herself carnival queen a few times. I believe Cyril Horne passed away some years ago. Great to see so many remembered names. As for Annette and I we are indeed very happy. We got married in Florida last November with Robin and Norma Murrell as our witnesses. I was a member of the Hothfield Football Team and that year won the Ashford and District League Div 1. 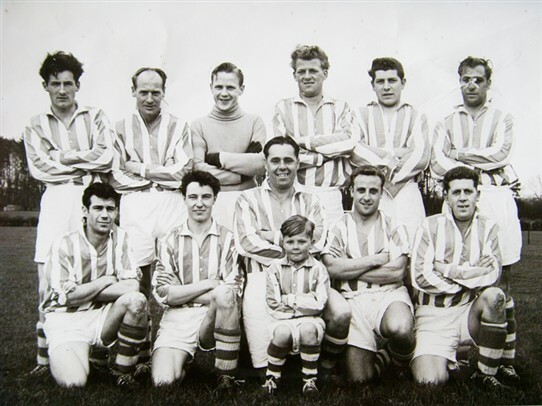 The team from the left (back row) is Bob Godden, Lou Weeks, Brian Green, Tiny Wilding, Me (Jon Smith), Jack Howe. Kneeling: Jamie Willis, Rod Ades, Baden Rolfe, plus Badens son mascot, Titch Bailey, George Hills . That year we also won the Faversham Charity Cup.